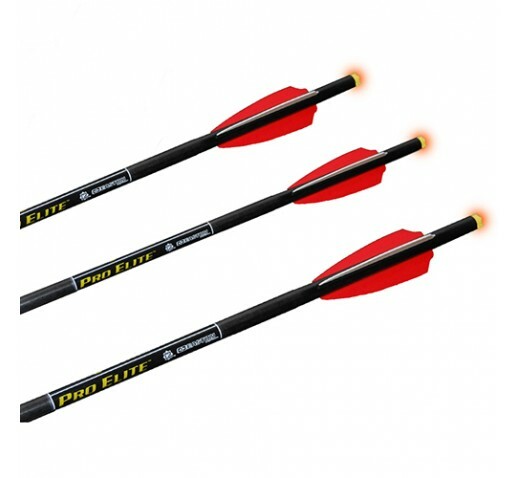 The Pro V22 22", 22/64th diameter Easton carbon fiber arrow is fletched slightly offset with Easton btv vanes. It is fitted with a 24-grain aluminum insert and ten Point's omni-brite Lighted nock. Precision engineered by Easton, Pro V22 shafts are inspected for straightness to within 003 and hand sorted for weight tolerance to within two grains per dozen. 3 pack.